All HIV infected persons, especially those with low CD4 count, are more prone to get different bacterial and viral infection as compared to general population. At the present time, there is no information about the risk of the H1N1 in people with HIV/AIDS. However, HIV-infected persons, especially persons with low CD4 cell counts, children less than 5 years, pregnant women and elderly persons are at higher risk for complications and rapid progression from infection with the H1N1 flu virus. HIV infected persons should remain vigilant for signs and symptoms of H1N1 infection which generally are the same as for seasonal influenza viz: moderate to high grade fever, cough, sore throat, running or stuffy nose, headache, body aches (muscle aches or joint pain), chills and fatigue. 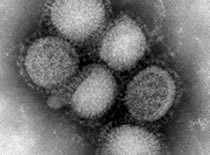 Some people may have diarrhea and vomiting associated with H1N1 flu. Avoid touching eyes, nose or mouth with hands. Cover mouth and nose while coughing. Avoid close contact with people with flu like symptoms. HIV-infected persons should maintain a healthy lifestyle, eat right, get enough sleep, and reduce stress as much as possible.� Staying healthy reduces risk of getting infected by influenza and other infections.� Staying health also helps immune system fight off a flu infection should it occur. If currently taking antiretroviral or antimicrobial prophylaxis against opportunistic infections, should adhere to prescribed treatment and follow the advice of health care provider in order to maximize the health of immune system. Put up a notice at the entrance of centre that persons presenting with cough, fever, sore throat, running nose, body ache, chills or fatigue should wear a mask before entering the centre. Provide masks at the entry of the centre. Examine these patients on first priority. Any possible contact with a person suspected to be infected with H1N1 flu virus. History of travel abroad recently. All persons with above symptoms/history should be referred to a designated Govt. facility for H1N1 infection for further evaluation and management. Difficulty in breathing or shortness of breath. Pain or pressure in chest or abdomen. Not taking enough fluid or food. Recurrence of flu like symptoms.